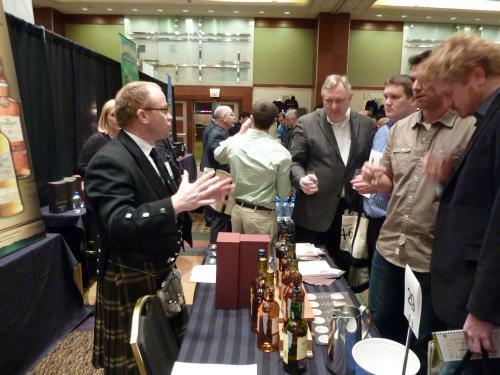 I didn’t quite know what to expect from Whiskyfest Chicago. When I first got the schedule I was surprised at how relatively short the event is: doors opened at 5:30pm for VIP and press, and then at 6:30 for everyone else with the event completely wrapping up by 9:30. Flying out to Chicago for a little over three hours of whisky seemed a little excessive and I had a hard time imagining how much you could really get out of three hours of tasting. 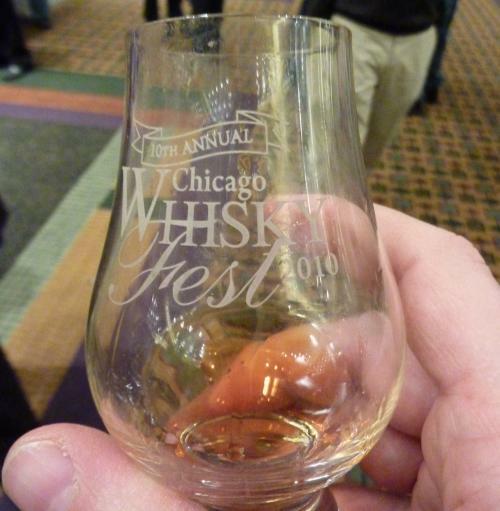 Then I discovered that in Chicago, Whiskyfest is actually a full week of events including guest bar tending, pairing dinners, samplings and more. There’s so much going on every night that it’s simply impossible to do it all. If you can believe it, there’s even an after party after the Whiskyfest itself (although by 9:30 that night I couldn’t imagine consuming another drop of whisky for at least a week). 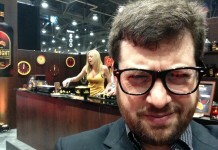 Unlike some of the other seasoned Whiskyfest imbibers, I really didn’t have much of a game plan for the festival. There were so many things I wanted to try that I sort of wandered from booth to booth sampling them. The downside of this was that I missed out on some extremely rare whisky, including the Laphroig 30 year (which had a monster line waiting for it) and the Bushmills 1608. The upside, however, was that I was able to discover some real gems that emerged from below the counter or stacked behind bottles. One of these gems was the Sheep Dip Old Hebridean 1990 (which is a mix of Islay and Highland Single Malt Whisky) from an extremely small independent scotch whisky producer. The Sheep Dip was an absolutely perfect union of sweet, smoky, iodine and honey. It’s an extraordinarily balanced whisky and a delicious union of Islay and Highland style scotch. Another ‘hidden gem’ of sorts came from the Gordon & MacPhail Reserve line, which had a bottle of 25 year Caol Ila which was also pretty amazing. Nothing I tasted at Whiskyfest could possibly hold a candle to Parker’s Heritage 27 year old bourbon which was so good I literally had to sit down and take some time to chew my way through it. Parker’s 27 represents absolutely everything I love about great whisky: it’s complex, spicy, with some nice heat, wonderfully oily and magnificently layered. It’s just one of those legendary ‘stop the world’ drams of whisky that I will never forget. Also awe-inspiring was the Pappy Van Winkle Family Reserve 23 which enveloped me with the most rich and round bourbon flavor I can remember having. It’s got a quality to it that defies description – just fantastic. What was equally impressive to me was the simple excellence of Pappy’s 15, which is a younger and more robust whisky with a lot more fire and kick. Tasting it side by side with the 20 year shows that older isn’t always better and the 15 would be one of my top choices in the Pappy line (outside of the jaw-droppingly good 23). Pound for pound, nothing was as strong as Buffalo Trace’s Thomas E Handy Sazerac cask strength Straight Rye Whiskey. I am a huge fan of their George T Stagg barrel strength and the Handy’s follows along in that line perfectly. Handy’s also stands close to Rittenhouse Rye 25 which was another phenomenal rye experience. As much as I love rye, I still think the traditional bourbons are stronger and more complex with the Parkers 27, Parker’s Golden Heritage and the Pappy’s 23 impressing me more than the two blockbuster ryes. 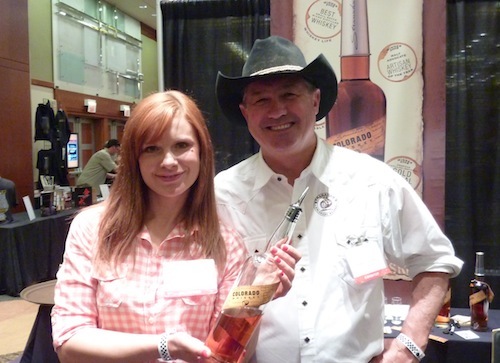 Jess Graber, founder of Stranahan’s Colorado Whiskey. 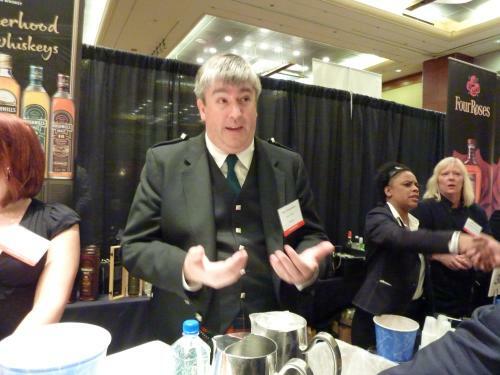 Another aspect of WhiskyFest I really appreciated was the strong presence of micro-distillers. I finally got to try Stranahan’s Colorado Whiskey which was a LOT different than I expected. It’s a deep and complex whisky but the depth is with sweeter and more tropical notes. The whisky comes from 100% malted barley but from a mix of four different varieties. It still is a very young whisky and I’d love to see what happens after more time in the barrel. It’s a whisky I hope to get a chance to re-taste on its own as I think it was unfairly tasted among giants. I also had a fantastic opportunity to spend time with Sonat and Robert Birnecker, the couple behind Koval (a local Chicago distillery). I can’t tell you how impressed I was with the Birneckers. In many ways, they represent the true hope for micro-distilling: a family business focused very specifically on the types of distilled spirits that they are passionate about. Koval tasted exclusively white whisky and their style is a lot different from others I’ve tried. Koval’s white whiskys are much more an eau de vie made from grain than a whisky. While I don’t know how I feel about the flavor profile of their white whisky (and again it’s tough to judge tasting it between a huge bourbon and a rye), there’s no question in my mind about the quality of their distillation.Robert has an amazing ability to isolate the hearts with pin point accuracy, resulting in a truly mouthwatering spirit, and could become a real all-star in the spirits industry. 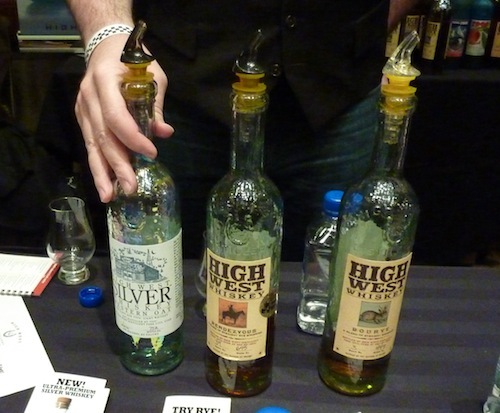 While I had tried High West’s Western Oat Silver Whiskey before WhiskyFest (and not loved it), I hadn’t had a stab at either their Rendezvous Straight Rye Whiskey or Bourye which is a blend of rye and bourbon. While I enjoyed their rye, I was bowled over by their Bourye, which was a real stand-out among all the micro-distilled spirits at the show. 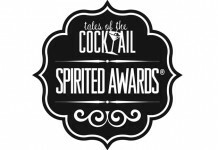 I had a feeling when I reviewed their silver oat whiskey that they had to have another spirit to hit the target on my palate, and the bourbon and rye mix was that – a real WOW spirit. 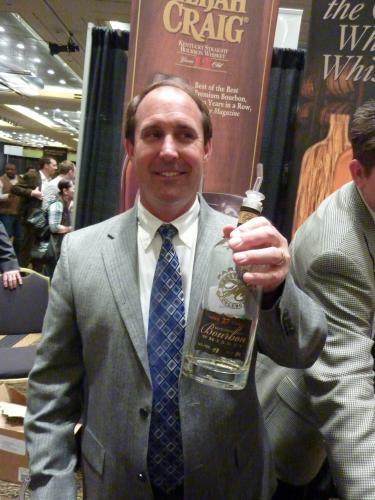 Another interesting entry in the micro-distilling space was the Grand Traverse Distillery True North Vodka, which is much closer to a white whisky than any vodka I have tasted. It represents a perfect middle ground between the fiery grain-forward world of white dog and the more soft and subtle world of vodka. It’s a real find and hopefully something that will gain a following. Other things I tried and really liked were the Templeton Rye Whiskey (from Iowa), Bushmills 21 year Malt (which has really nice chocolate notes in it), and Ardbeg’s Rollercoaster which captures everything I love about Ardbeg and more. 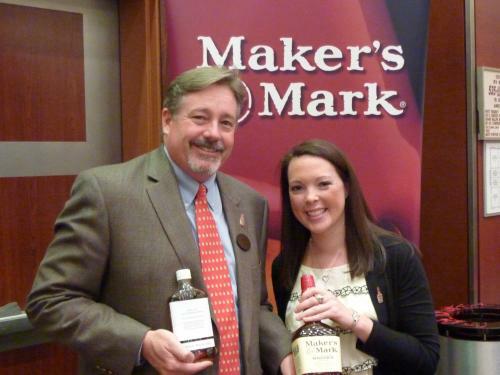 One of the more important tastings I did at WhiskyFest was the new Marker’s Mark 46, a riff on the current formula of Makers with added light char French oat staves into the barrels. While many whisky companies have a diverse line of offerings, Maker’s has been pretty much a one product company for over 40 years. Maker’s 46 is an important addition to their line and will definitely appeal to people who like the spice notes similar to a rye in their whisky but aren’t interested in the sharp edges and flavor profile of rye. I found Makers 46 to be as smooth and enjoyable as the conventional Maker’s Mark with a delicious ribbon of cinnamon down the center. Makers 46 is an extremely drinkable and pleasing option for current Maker’s lovers and is sure to attract new drinkers to the Maker’s line. Maker’s 46 has an solid shot at winning a lot of new people over to drinking whisky and is sure to leave its mark in the spirits world. While WhiskyFest is a superb opportunity to sample a wide variety of amazing whiskys, it’s not an ideal environment to do extensive tasting notes and despite my best efforts I strongly felt the impact of drinking high proof whiskys for three hours. To that end I was solidly impressed by the way in which the event was organized, and while I was not alone in feeling the impact of the whisky, there were no incidents of anyone getting out of hand, being really loud, rude or otherwise. All in all the event was run superbly and after tasting a large number of spirits I recognized that indeed three hours is more than enough time to sample more than one person should in a night. The thing I loved the most about WhiskyFest was it really felt like a celebration of whisky. The fest had such luminaries as Craig Beam and Kevin Smith pouring out their spirits mixed with new comers like Sonat and Robert Birnecker. People ran around the room comparing notes and talking up their favorite whisky and there wasn’t a lot of badmouthing or trash talking. Malt Advocate has hit the target with this fest and I look forward to swinging back around next year for another go at some amazing whisky.